"We have made some substantial changes to the design plans from what was announced last summer, and we're very excited about the direction in which we are headed for the coming season," said Pulaski Yankees General Manager Betsy Haugh. "These new upgrades will enhance the fan experience at the ballpark for fans of all ages." The renovations include the addition of approximately 350 new seats along the third baseline, including 30 accessible and companion seats and 11 new boxes. A new concourse will be added behind the existing seating section to improve accessibility for fans to the third base side of Calfee Park. This section of the ballpark will also feature a new integrated sunshade canopy. A three-tiered party deck will be added in left field, resulting in changes to the playing field itself as the amount of foul territory down the third base line will be reduced. The party deck will be angled towards home plate, providing great views of the game and getting fans closer to the action. Additional concessions units will also be added near the party deck. "We're ecstatic to see the party deck come to fruition," Haugh said. "Social areas like this are becoming more and more common in ballparks across the country, and we believe our fans will really enjoy this addition to Calfee Park." On the upper concourse, the existing souvenir trailer will be replaced by a walk-in souvenir store in the same location, making it easier for fans to shop for Pulaski Yankees gear. These renovations are expected to be completed in time for the Pulaski Yankees Opening Night on Friday, June 21. An additional wave of upgrades will then take place prior to the 2020 season. 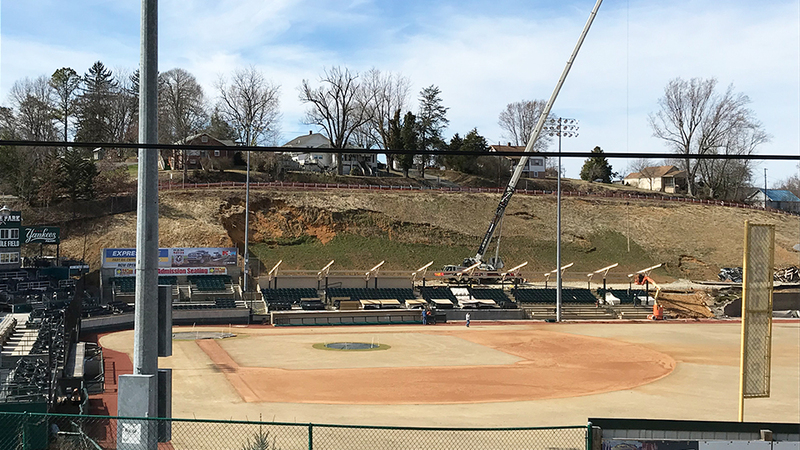 As part of the improvements for 2019, the general admission grandstand to the right of the press box will now feature reserved seating. Season tickets for this section are on sale now. Additionally, the new boxes along third base are also now on sale. 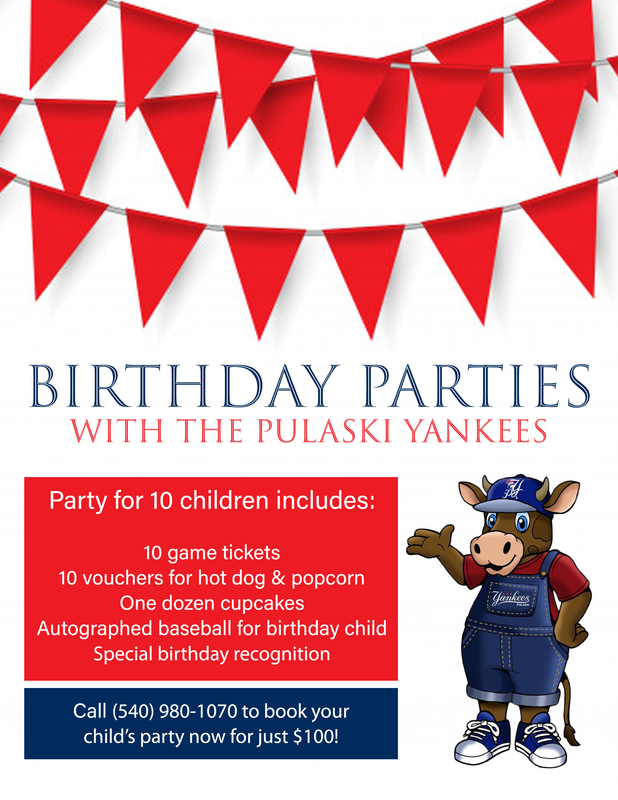 For more information on season tickets, purchasing a box, or sponsorship and advertising opportunities available with these renovations, please call the Pulaski Yankees at (540) 980-1070.